Whimsy Wood The ‘Whimsy Wood Family’, A New Whimsy Wood Brand! Soooo, finally I can let you in on a little bit of Whimsy Wood’s ginormous secret! 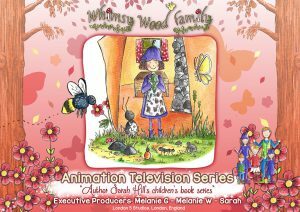 The Whimsy Wood children’s books are to become a brand new animated children’s TV series and brand. It really is beyond exciting and I can barely get my head around it! 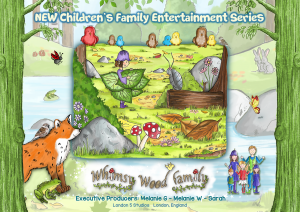 The 1st Whimsy Wood Family Animation Poster! There has been a huge amount of hard work going on behind the scenes for the past 5 months. 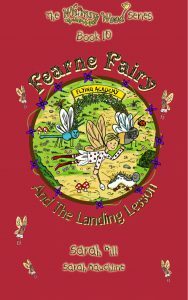 The 1st 14 Whimsy Wood children’s books I have now rewritten as children’s TV episodes. I have written a synopsis for a brand new Whimsy Wood animated children’s film and created gaming concepts for this wonderfully whimsical brand new brand! Sarah Mauchline, our wonderful illustrator, has also been very busy creating all these amazing adverts for the Whimsy Wood Family. The 2nd Whimsy Wood Family Animation Poster!